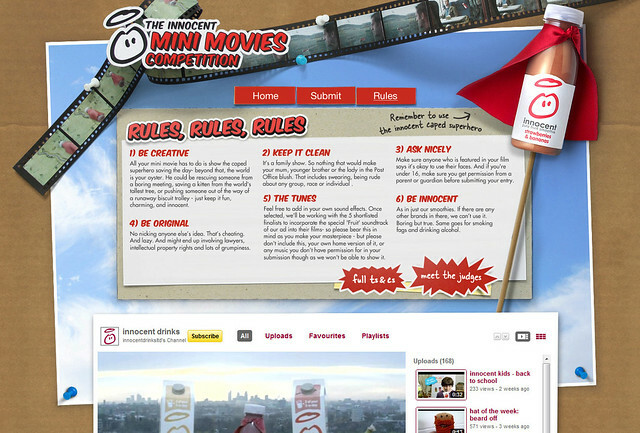 We were tasked with designing and innocent 'mini movies' YouTube competition page. 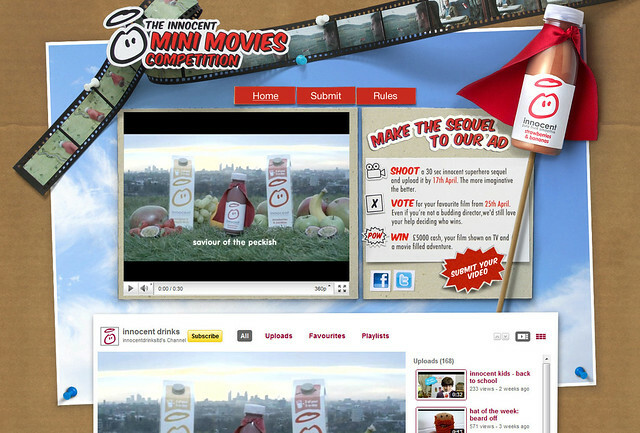 As a follow up to the supersmoothie campaign that launched in Jan 2011, the public are invited to make the sequel to the advert. After a round of submissions shortlisted entries are open to a public vote, with the winner receiving £5000 as well as having their film aired on TV. 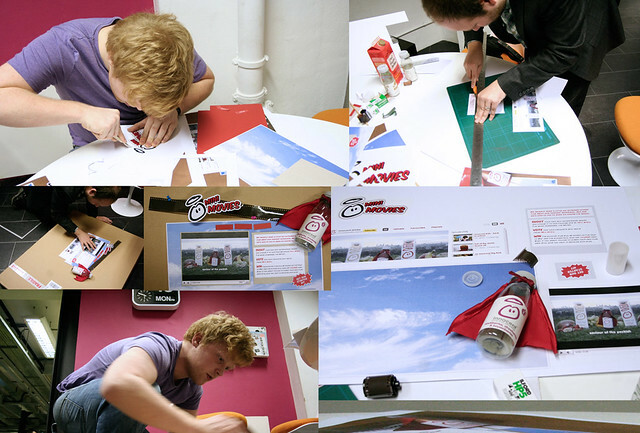 The supersmoothie advert (directed by Ben Wheatley) had a low-fi handmade feel, with very little post production a lot of the effects were achieved in camera. 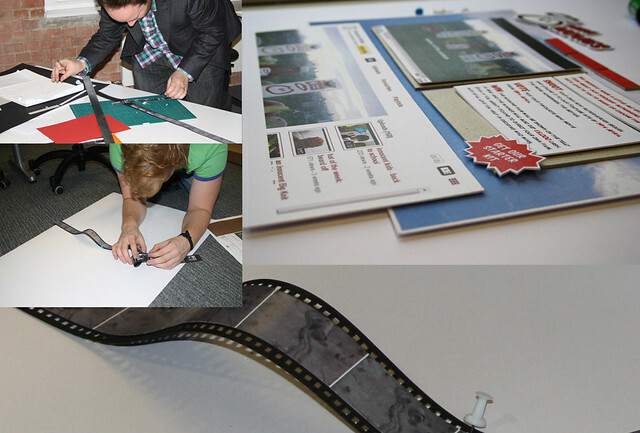 We wanted to continue this style with the design of the site so we handcrafted all the design elements, cutting out bits of card and photographing them. All in all we're delighted with the end results and look forward to seeing how the campaign progresses.